The entrepreneur respects the Belgian law of 8 December 1992 regarding the protection of privacy in the processing of personal data. - sending newsletters, advertising and / or marketing purposes. Belgium or info@lasfiestas.be, free written notification of your personal data. If necessary, you can also ask to correct the data that would be incorrect, incomplete or non-pertinent. In case of use of data for direct marketing: You can oppose the use of your data for direct marketing free of charge. 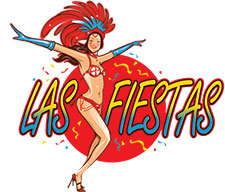 To this end, you can always contact Gentse Steenweg 253-255 9300 Aalst Belgium or info@lasfiestas.be. The entrepreneur keeps online (anonymous) visitor statistics to see which pages of the website are visited to which extent. The cookies we distribute do not satisfy your hunger, but tell us a bit more about you and your surfing habits. This way we can offer you an even better service and products that you are looking for. We remember who you are and what you love, so that surfing on our website is even more pleasant and easier.